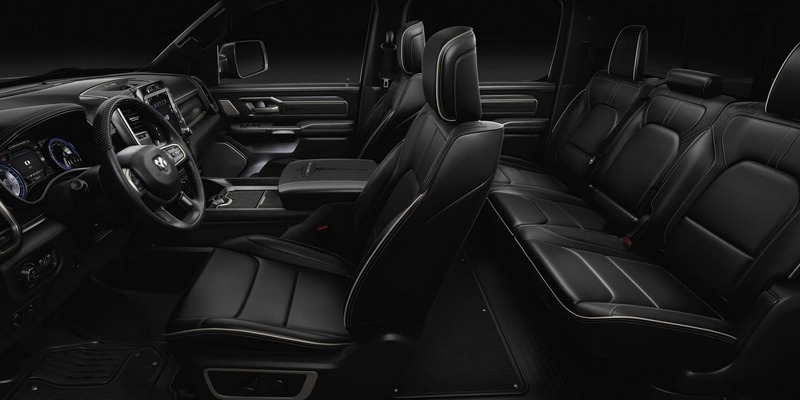 2019 brings in an all-new design for the Ram 1500. The body is even made with an entirely different material and a new lighter 98th percentile high-strength steel was used for the frame. 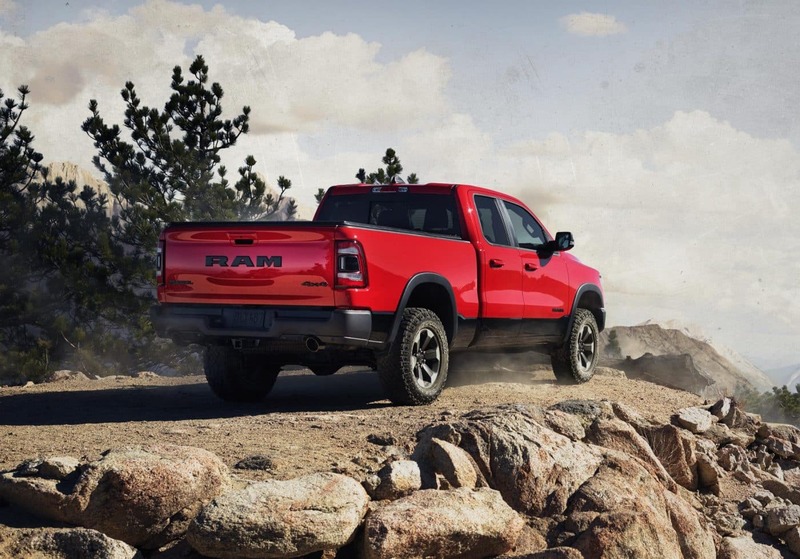 Thanks to this new steel, the Ram 1500 is capable of towing a total of 12,750 pounds, while still cutting off an additional 100 pounds of the trucks overall weight! With less weight, the Ram 1500 is available to help save some fuel with an even better fuel economy. On top of all of this, 2018 has also brought with it some minor updates that have improved aerodynamics in a big way. The new 2018 comes with a total of .357 coefficient of drag. How many types of packages are available? 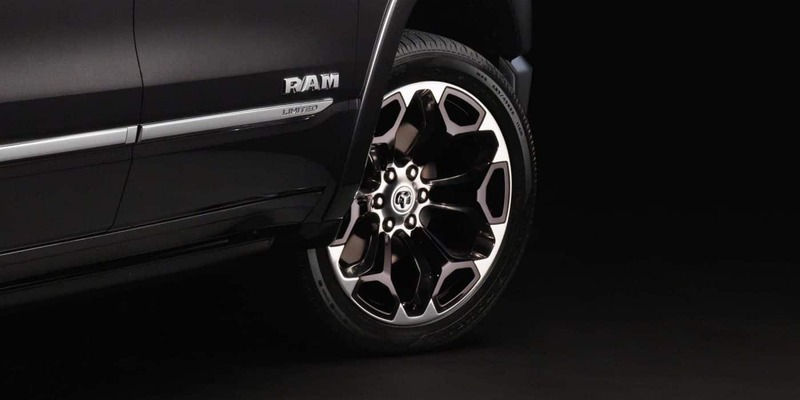 The various trim levels of the Ram 1500 are the Tradesman, HFE, Big Horn, Rebel, Laramie, Longhorn, and Limited. Many different packages are available to the various trims. For the appearance packages there are the Low Chrome package, Low Monochromatic package, a Low Black package, and various levels of high, low, and medium for these packages. For the Equipment packages there are choices like the H2 Equipment package, an X1 Equipment package, an R1 Equipment package, and many more. Additional Functional packages would include the Protection Group, Bed Utility Group, 4x4 Off-road Group, Trailer Tow Mirrors and Brake Group, an Advanced Safety Group, a Tradesman Group, a Cold Weather Group, and so many more. 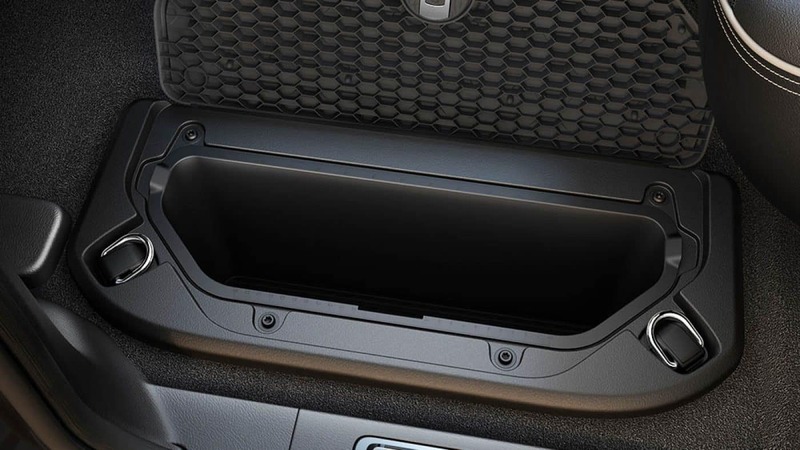 These packages help to make each trim more easily customized to fit into exactly what you need from your truck. Three options for bed/cab configurations are available as well. These configurations would include the Quad cab with a 6-ft 4-in box, a Crew cab with a 5-ft 7-in box, and a Crew cab with a 6-ft 4-in box. What are the engine options? 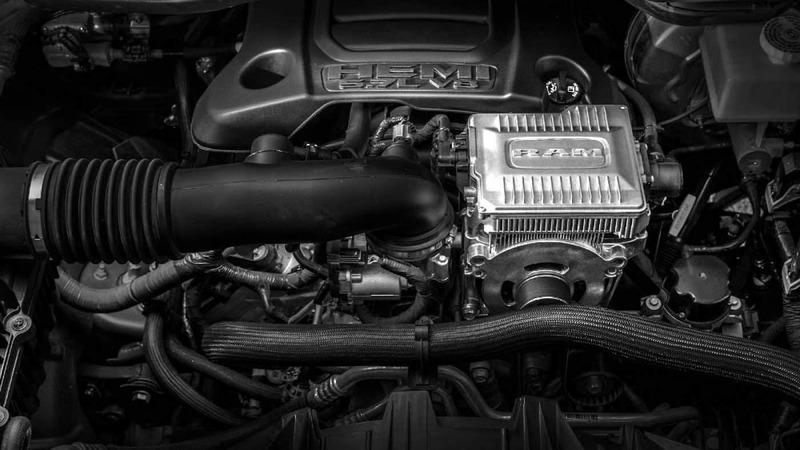 The standard engine for the 2019 Ram 1500 is the 3.6-liter V6 Pentastar. This engine comes with an upgraded eight-speed automatic transmission and eTorque technology. The second engine is available to all trims except for the HFE. 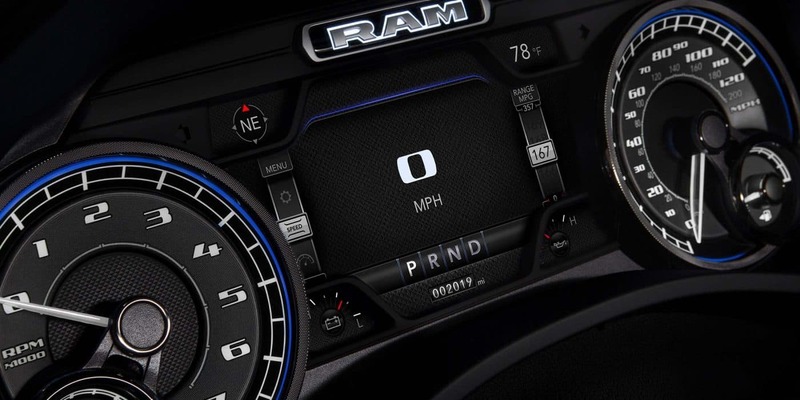 This 5.7-liter Hemi V8 engine is paired to an eight-speed automatic transmission and has the choice of coming with an eTorque technology or not. The standard is two-wheel drive, but an optional four-wheel drive is available to every trim except the HFE. How many features are standard? 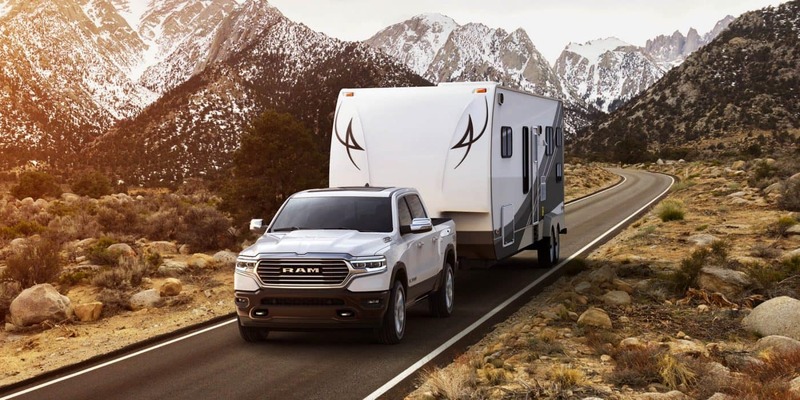 Many standard features for safety and security are loaded into the 2019 Ram 1500. Some of these features would be a driver and passenger belt alert, supplemental side seat airbags, power-assisted four-wheel antilock brakes, electronic stability control, hill-start assist, ready alert braking, brake assist, supplemental side-curtain airbags, electronic park brakes, a rear backup camera, electronic roll mitigation, all-speed traction control, trailer sway control, and four-way manual adjustable head restraints. 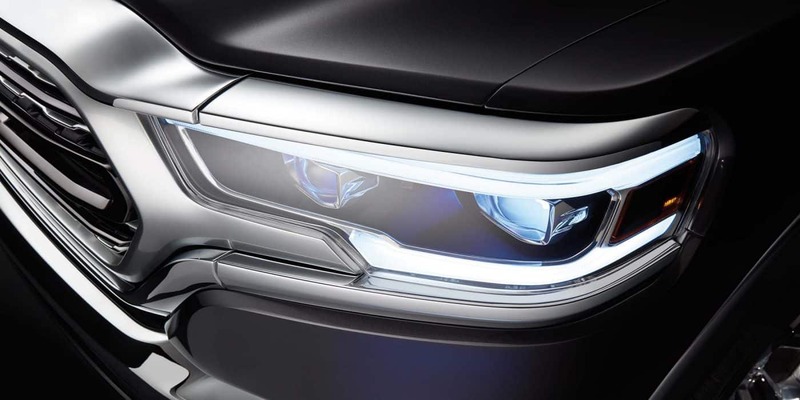 Additional safety features would be parking assist, lane departure warning, a security alarm, blind-spot monitoring, hill-descent control, and forward collision mitigation. Please give us a call if you have any further questions on the Ram 1500. We would be more than happy to answer.